More Kalyanji Anandji, pre-prime this time. Or at least pre-funk. 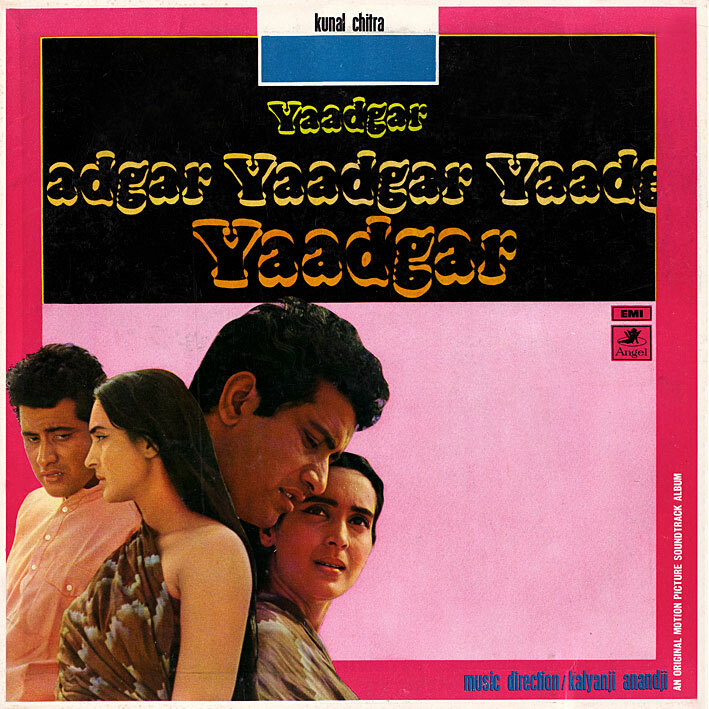 'Yaadgar' is still a reasonably good effort from them - it has a great cabaret number in 'Baharon Ka Hai Mela': Masala beat in a Shankar Jaikishan vein, jazz-tinged rock'n'roll, playful, infectious, fun. The lovely 'Jis Path Pe Chala' is worth a mention (and a listen), in addition to 'Woh Khet Men Milega' after its first few (dull) minutes; that's when the cool rhythm kicks in. 'Ek Tara Bole' has an OK backbeat; I might have liked it more if it didn't go on forever. Thanx PC for this one. A very rare album indeed. Ek Tara Bole was a regular in vintage Vividh Bharti - the only radio channel for film music in India - I mean till the early 90's! Thanks so much for everything, its a real treat !.